On this page you'll find my floral-scented soaps, some are cocoa butter-based soaps and some are shea butter bath soaps. All of them will give you abundant, creamy lather. A Śri Lankan customer gave me the ultimate compliment when he commented that it smelled just like his family’s garden back home. A blend of lovely floral scents with jasmine predominating. Sandalwood and rose, powdery and feminine without being too sweet. It’s a pale rosy brown shea butter-enriched soap with a swirl of darker pink clay. 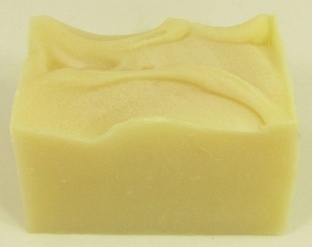 Many of you have asked for a Gardenia soap - and here it is, in a rich 20% shea butter soap with silk and coconut milk. Please note this year's batch is white with a pink design (not green as pictured above!). 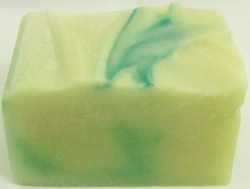 My Lily of the Valley fragrance, popular as a shaving soap, now available in my new line of 20% shea butter bath soaps. Made with a rich 20% shea butter base recipe with coconut milk and silk, this lovely pale yellow soap with pink swirls is scented with rose fragrance oil and lemon essential oil. The lemon brightens the heaviness of the rose and smells heavenly.